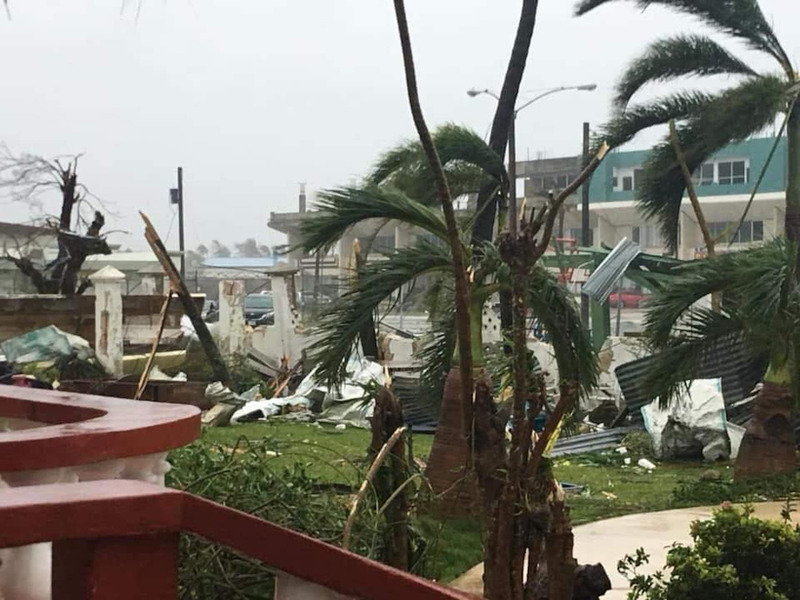 Courtesy of Vanessa BlasSaipan on Thursday. The Northern Mariana Islands are just beginning to pick up the pieces after Super Typhoon Yutu made a direct hit on the islands early Thursday morning as a Category 5 storm with sustained winds of 180 mph. 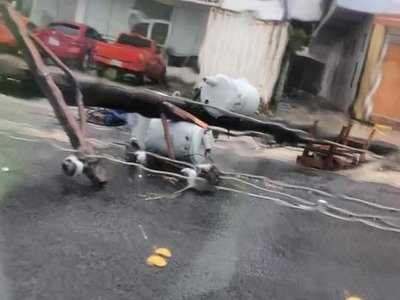 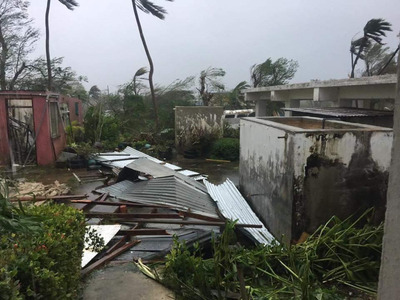 The typhoon not only brought down trees and power lines, but according to some witness accounts also caused concrete buildings to collapse. The islands, which are a US commonwealth, now face a months-long recovery effort. At least one person has been confirmed dead from Yutu in the Northern Mariana Islands. 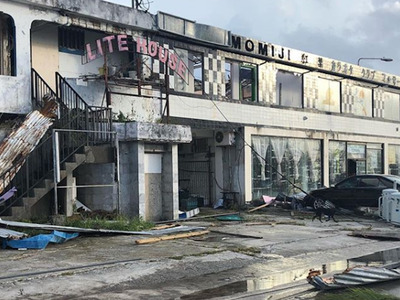 A 44-year-old woman died after taking shelter in an abandoned building on Saipan, which collapsed. 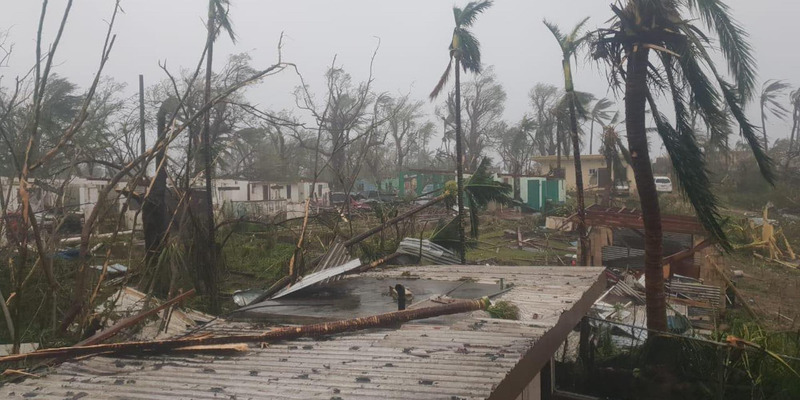 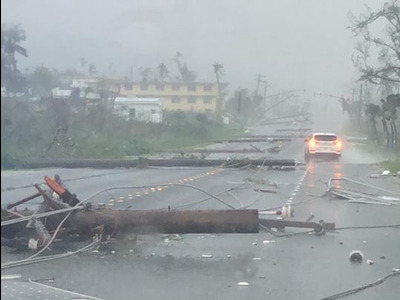 “This is an unfortunate incident, but CNMI and federal partners continue to focus on life-saving and life-sustaining operations,” the governor’s office said in a statement. 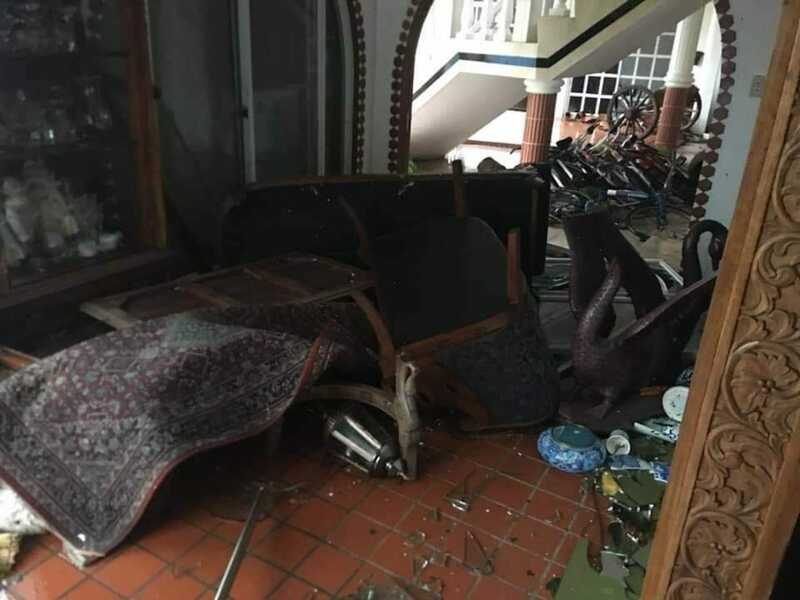 Several people have been injured, Gregorio Kilili Camacho Sablan, the commonwealth’s Congressional delegate, said, though he couldn’t give a specific number of casualties. Sablan said he’s heard reports of people lining up at Saipan’s hospital to be treated for injuries sustained in the storm. Sablan said he has not been able to reach officials on the islands of Tinian and Rota since the phones and electricity are out. 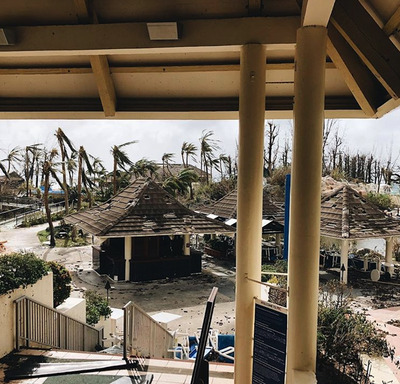 President Donald Trump declared a state of emergency in the Northern Mariana Islands ahead of the storm to free up federal resources to help the islands recover. Satellite imagery showed the eye passing directly over Tinian, a small island of a little more than 3,000 residents, just after midnight Thursday morning. 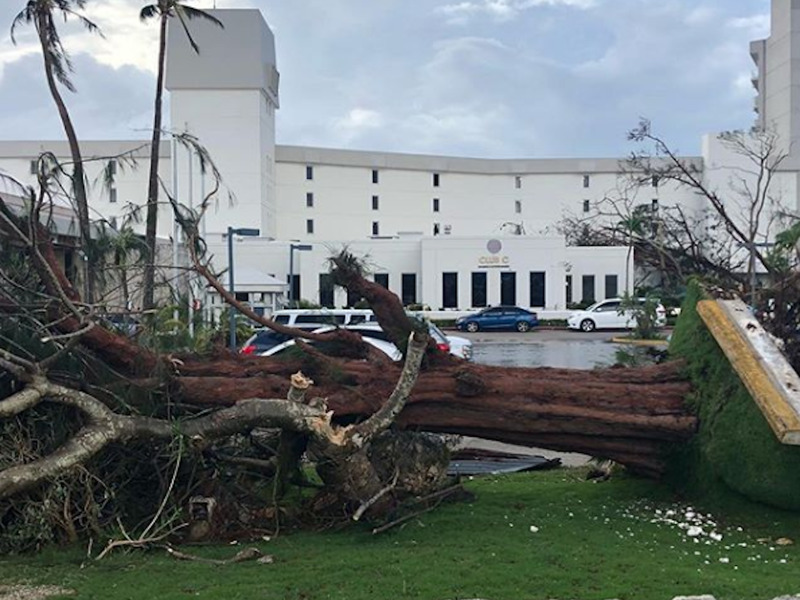 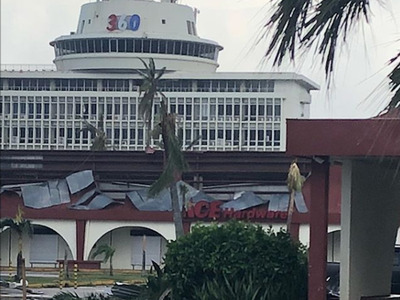 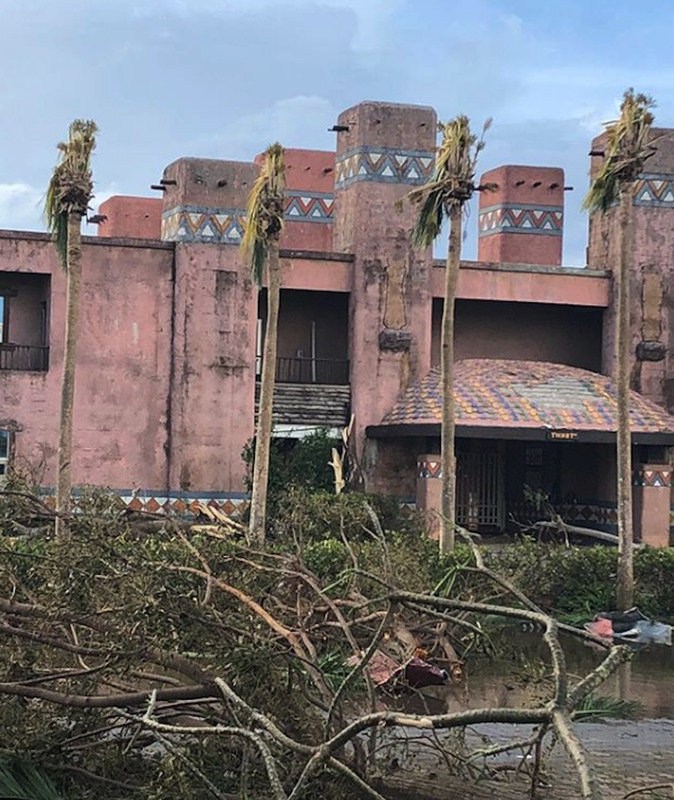 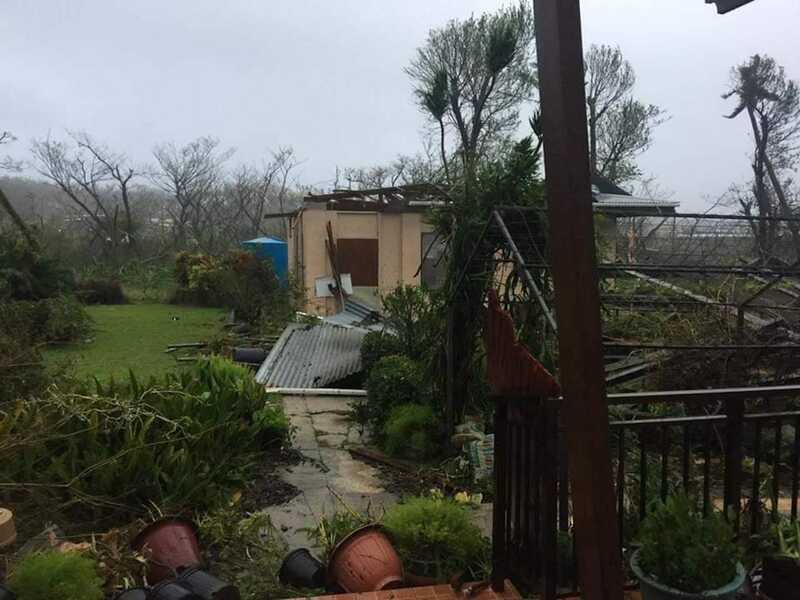 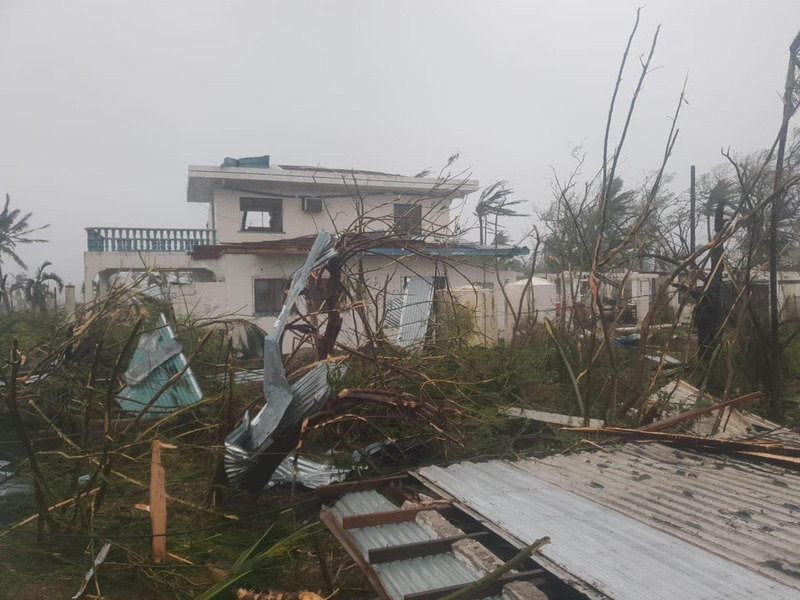 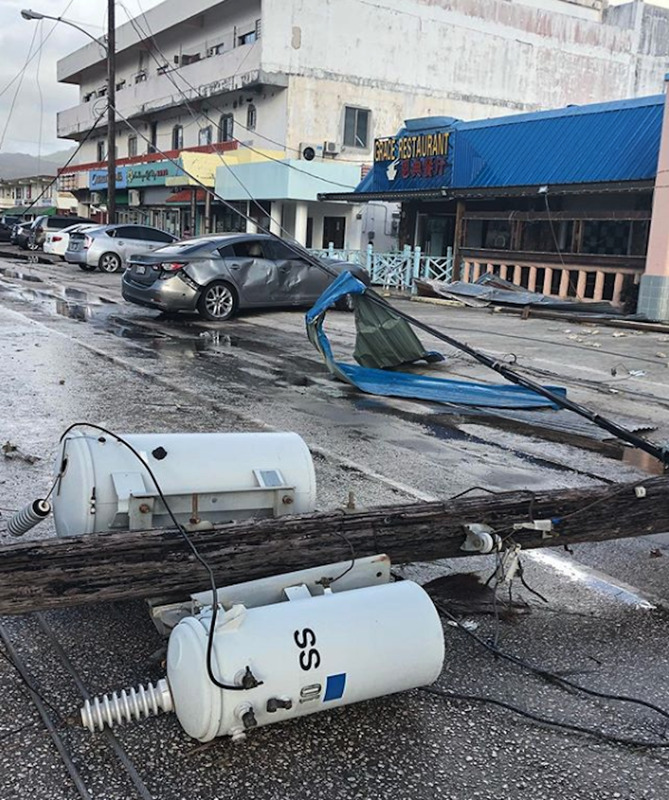 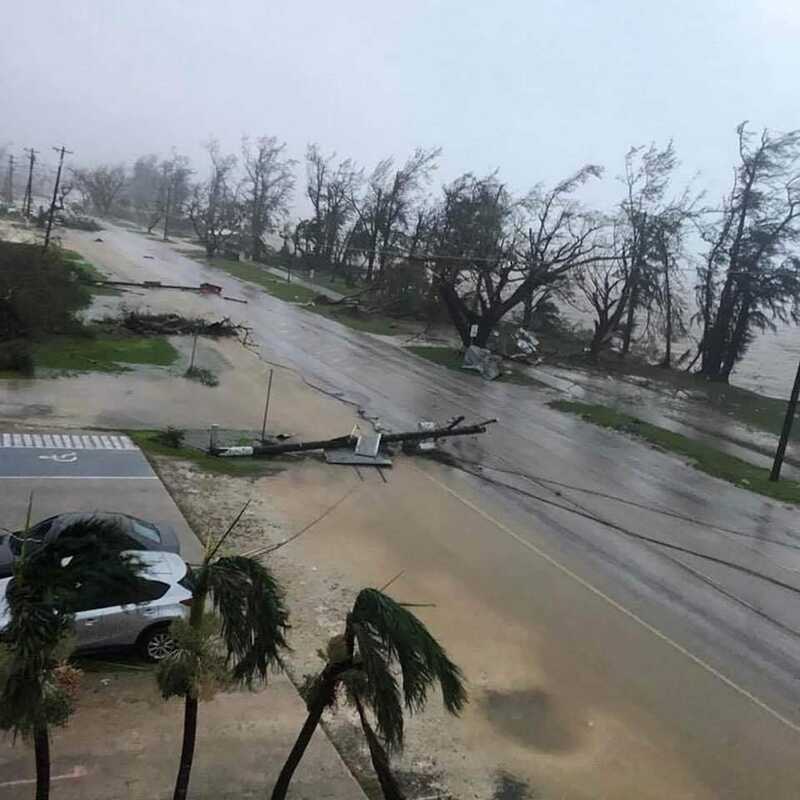 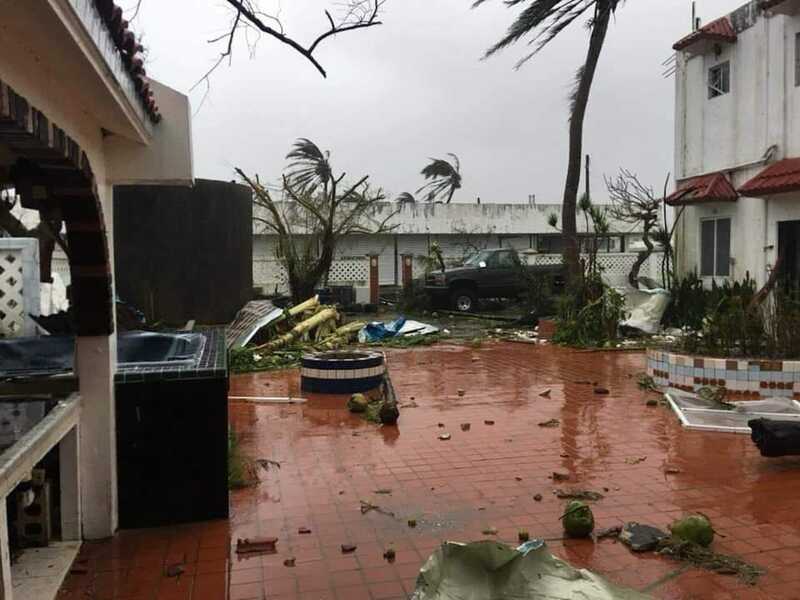 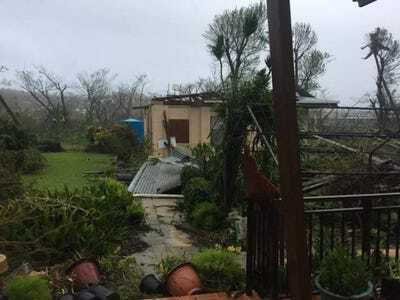 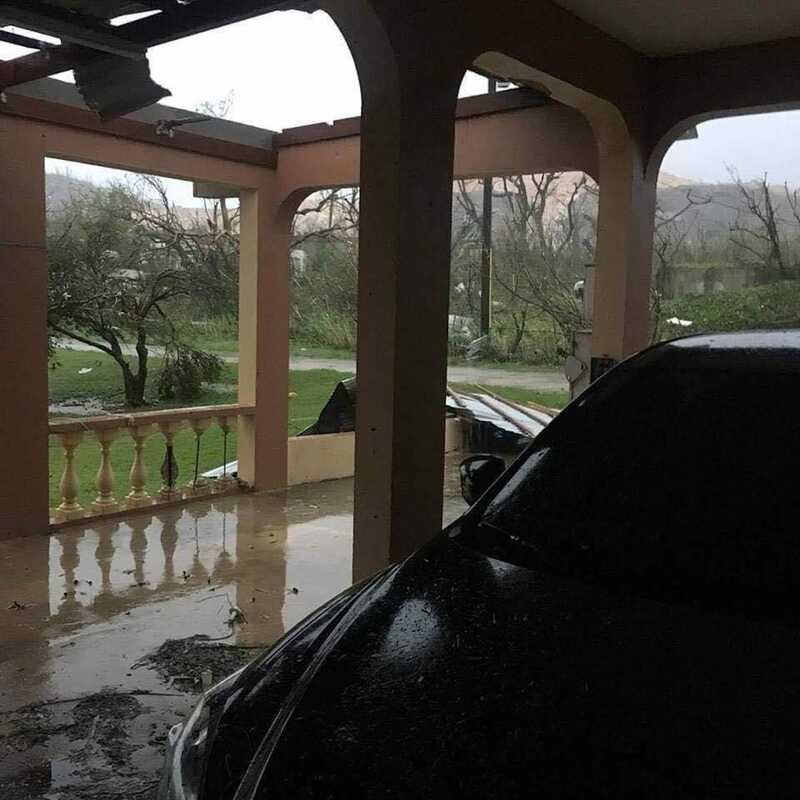 Brandon Aydlett, a meteorologist with the National Weather Service, said both Saipan and Tinian will be unrecognizable after the storm. 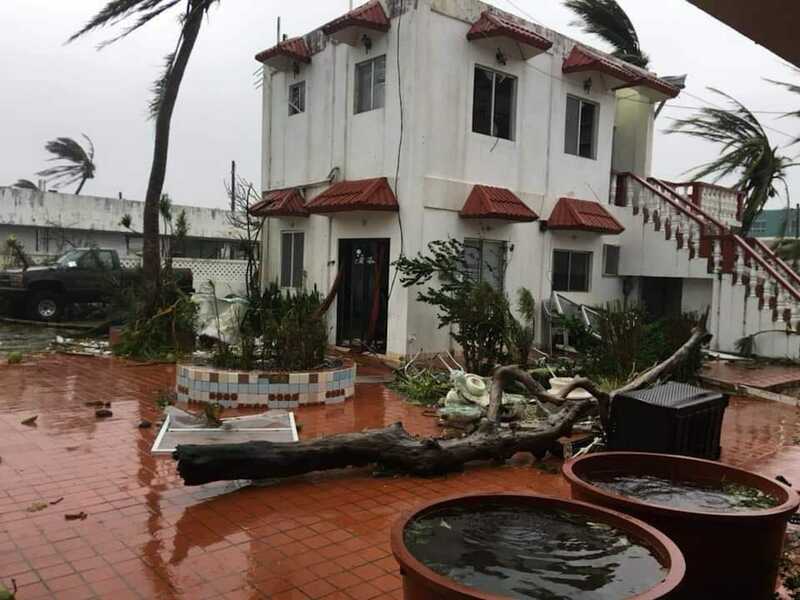 Glen Hunter, 45, who was lived on Saipan since childhood, said Yutu was the worst storm he has ever experienced. 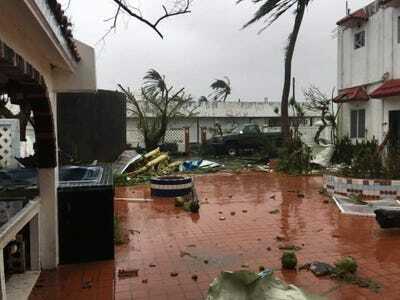 “At its peak, the wind was constant and the sound horrifying,” Hunter said. 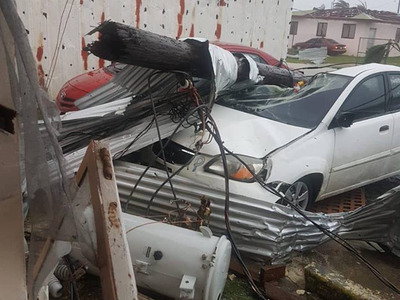 College student Fariha Omar was in the middle of class in Boston on Wednesday when she got a Facebook message from her family on Saipan, telling her that the windows in their home had burst during the storm. 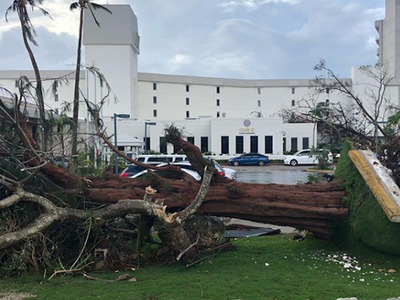 Guam National Weather Service Meteorologist Paul Stanko said the storm wiped out their wind instruments at the Saipan airport. “We’ve got a thermometer and a barometer and that’s it,” Stanko said. 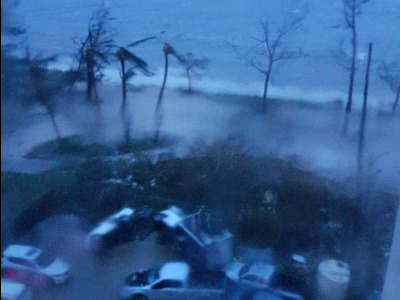 Stanko said the eye of the storm stretched from Saipan to Guam, completely enveloping Tinian. 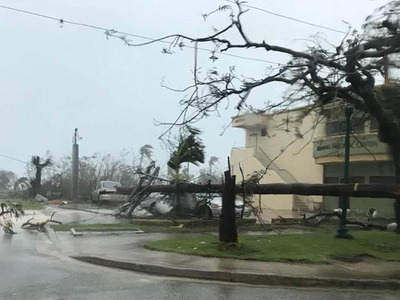 “We currently have no power and water at this time and our ports are inaccessible,” San Nicolas added. 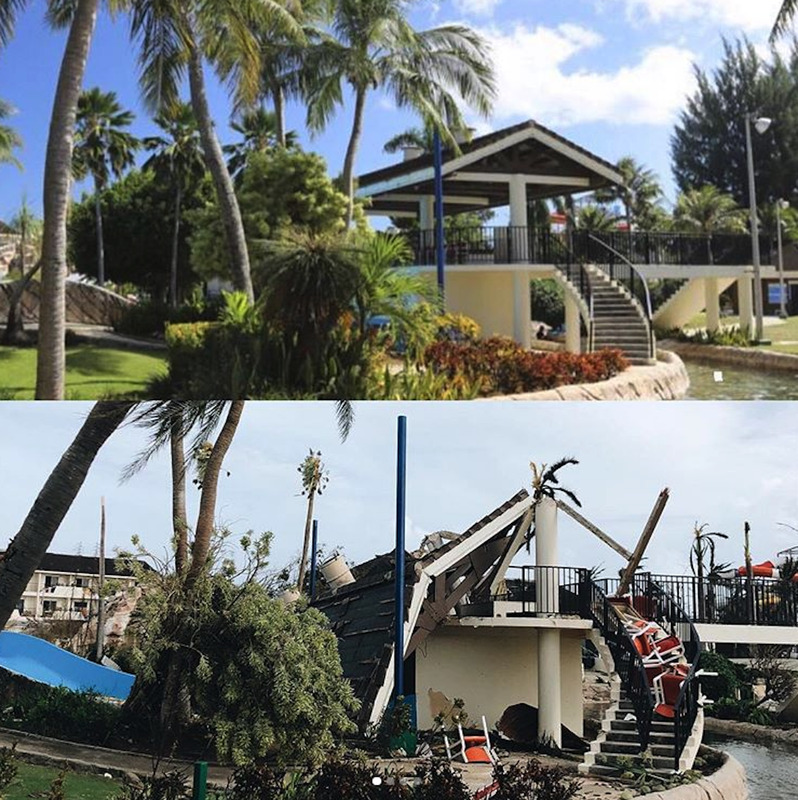 Instagram/@bushlenaDamage at a Saipan resort after the storm. San Nicolas said about 30 people had been rescued on Tinian as of Thursday. 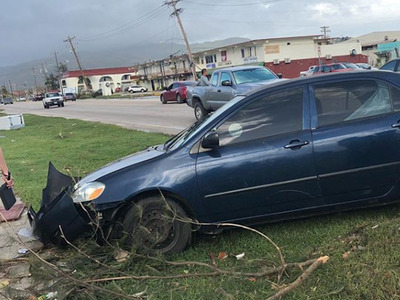 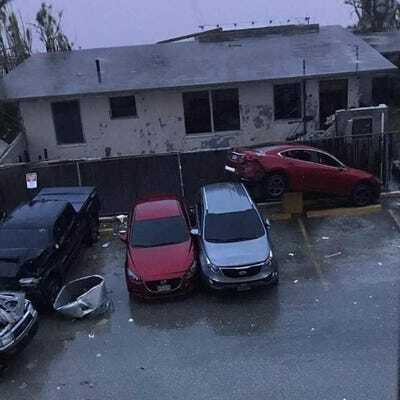 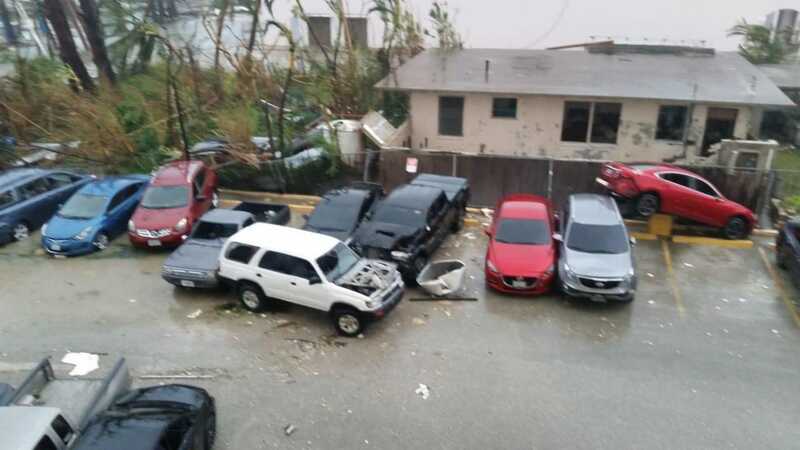 Dr. Philip Dauterman, who lives on Saipan, said that on the way to work after the storm, he noticed a car dealership that had a collapsed wall. 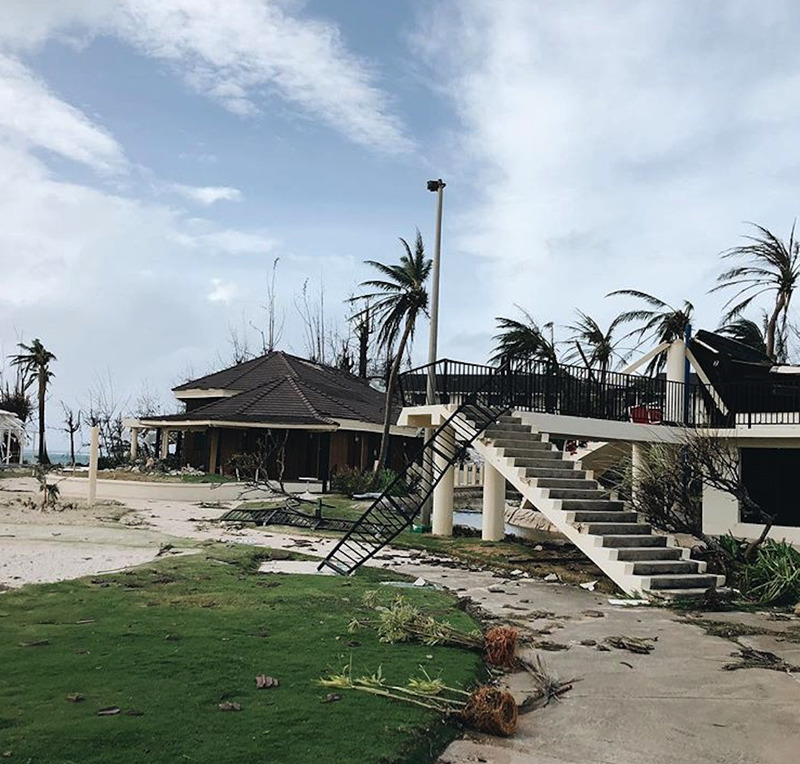 The islands are now waiting for shipments of food, supplies, and emergency personnel. 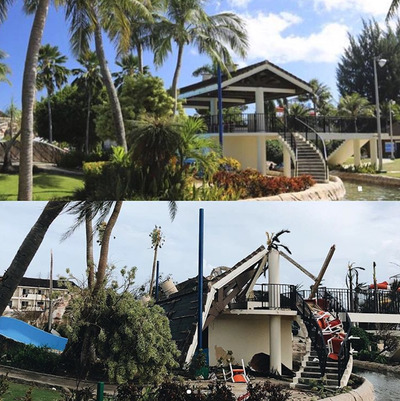 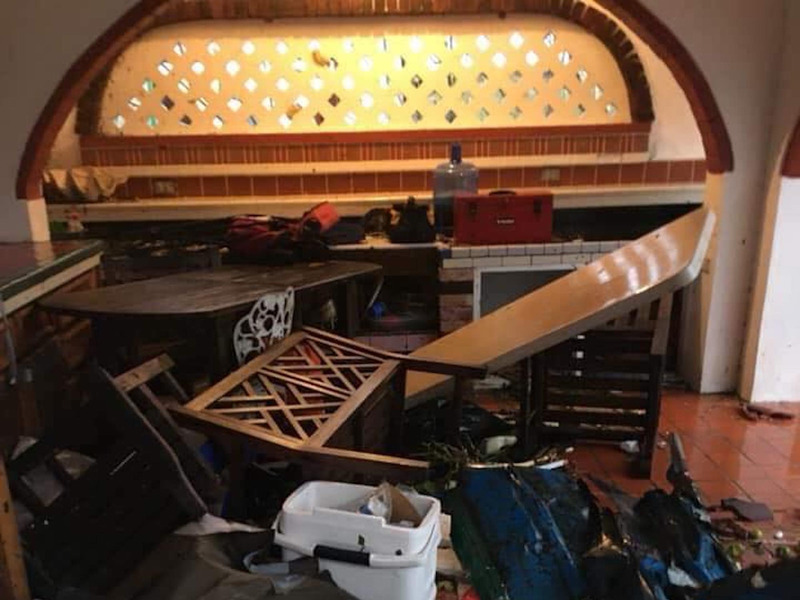 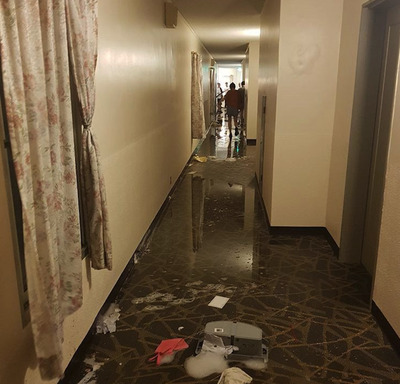 A Korean woman posted a picture showing flood damage at the Kanoa Resort on Saipan after the storm. 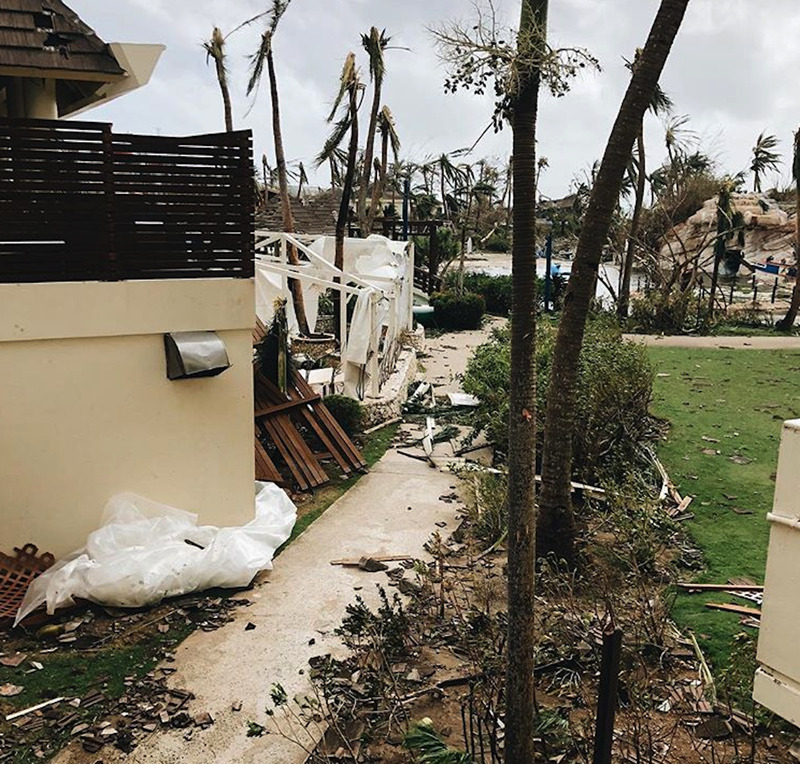 A Russian woman posted several pictures of the damage to a resort on Saipan. 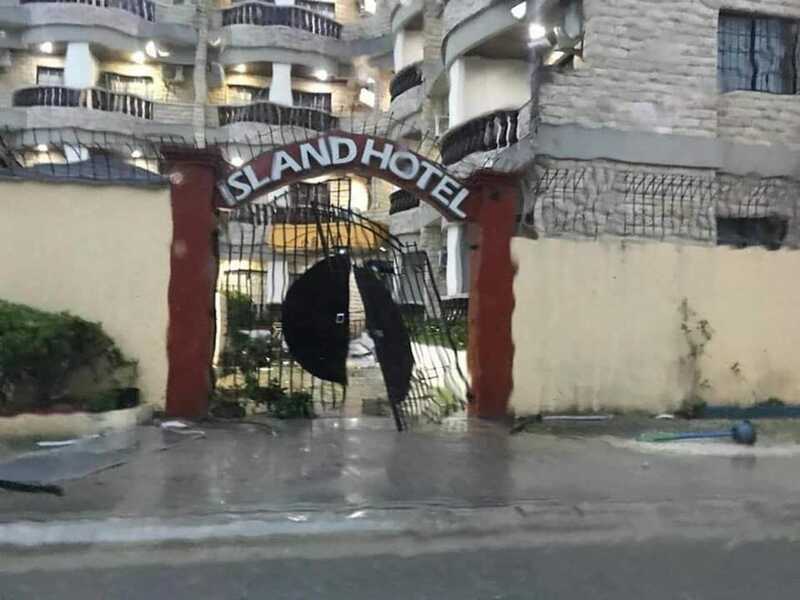 “Last night was stressful at the hotel, where the glass flew out, the tiles flew off, the structures collapsed. Now the island is coming to life, just like we,” the woman wrote. The typhoon will no doubt have an impact on the Northern Mariana Islands tourism industry, which is a major driver of their economy. 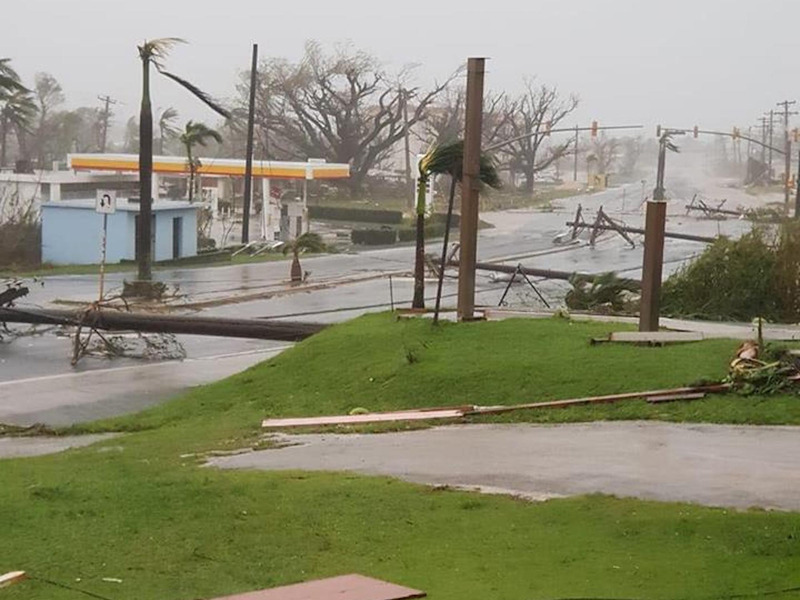 The islands face the possibility of months without electricity or running water.